The houses and boats at the old harbor (Vieux Bassin) of Honfleur illuminated by warm morning light. 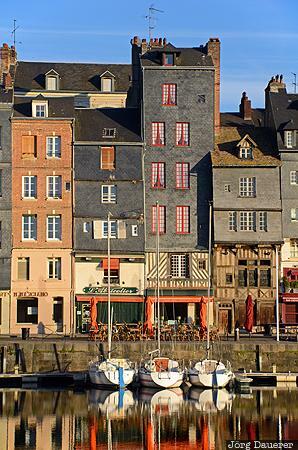 Honfleur is in Basse-Normandie in northern France. This photo was taken in the morning of a cloudy day in May of 2011. This photo was taken with a digital camera.